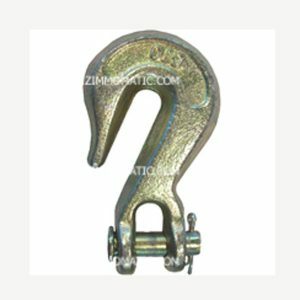 This 3/8″ x 16ft Binder has two clevis chain grab hooks, made from forged grade 70 steel. 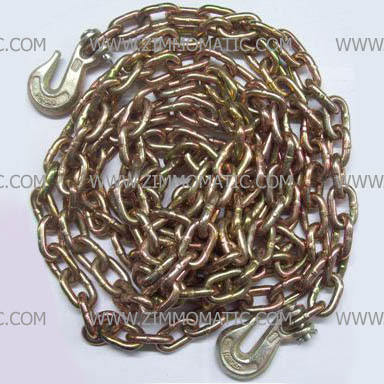 The chain itself is grade 70 material as well, making it eligible for binder chain. Test this chain to the fullest with the most taxing jobs and you will find it is worthy of the job. The binder chain, 3/8 inch x 16 feet, is certainly a beast of a chain. You will never have to worry about this grade 70 material chain breaking under stress. There is practically no load that can get the best of this beastly chain. Although you may find this chain serves your needs, if you need a more standard chain, you could investigate the 5/16″ x 16ft chain, TSBC516X16. 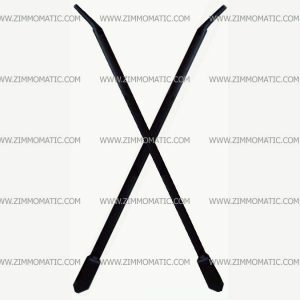 The 5/16″ chain is not quite as bulky and if you do not seriously need the extra strength, you can save approximately $12 by buying a 5/16″ rather than the heavier 3/8″.